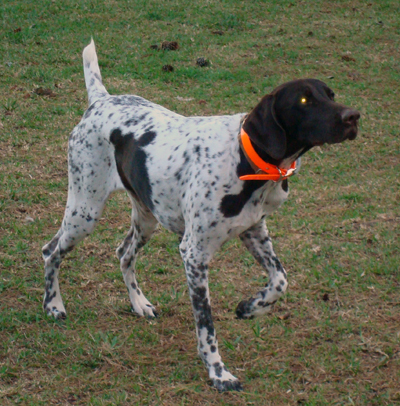 He’s a German Shorthair Pointer (please correct me if I’m wrong), a well-trained hunter, and a bundle of energy. He has a distinctive bear-shaped patch on his side and all those freckles! Super fun to paint! 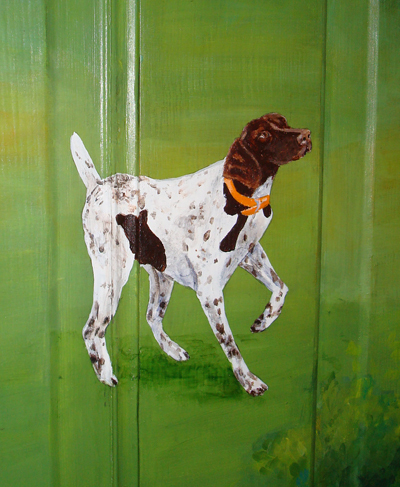 Here’s how we worked him into the existing mural…. 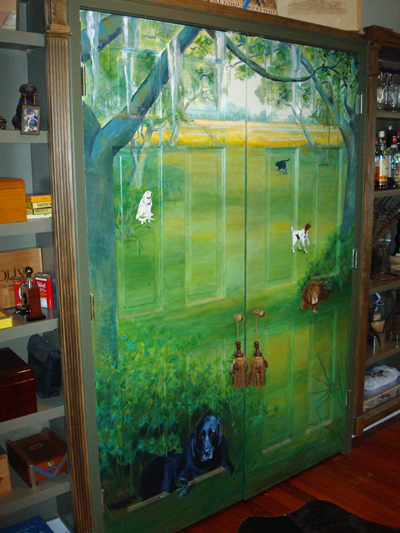 a little closer shot….tricky painting those beveled edges! 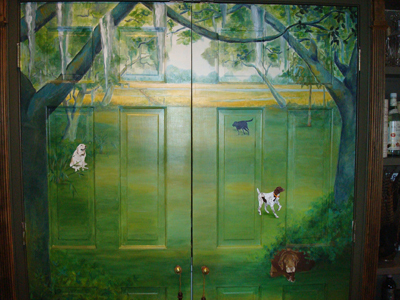 full view of the doors…. For a more detailed look at the mural and a refresher as to what it looked like before Ritter’s addition, CLICK!